You’ve got a Business to Grow. We’ve Got your Back. Grow your business with higher purchasing power and increased cash flow. Another way we have your back. 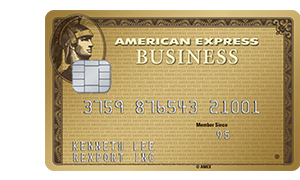 The American Express® Gold Business Card has no pre-set spending limit1, giving you purchasing power that adjusts with your use of the Card. No pre-set spending limit does not mean unlimited spending and charges are approved based on your payment history, credit records, spending pattern with us and your current financial resources. You can spend as spend as much as you can afford to pay back, which gives your business greater financial flexibility to cater for different business needs. Increase your liquidity, whilst ensuring that your vendors are paid on time. Pay suppliers through American Express and receive up to 51 credit-free days2 without any added credit interest to pay your statement, allowing funds to earn interest or be used elsewhere to grow your business. Provide your employees with Supplementary Cards3 and consolidate more of your company’s expenses into a single payment method. You will also earn Membership Rewards points on any Supplementary Cardmembers spend. Manage Your Card Account is a complimentary online management tool that provides Cardmembers with 24/7 access to their American Express Business Card account. Cardmembers can view statements, make payments, redeem Membership Rewards points, set up email or mobile alerts, anytime, anywhere. Save time and get greater control over your business expenses with Quarterly Management Report. This report details your account's transactions for the past quarter in different categories (such as travel, entertainment, dining) to help you better manage expenses. Your account is already protected by American Express against theft and fraud every time you shop online. American Express SafeKey5 has been introduced to further enhance online transaction security. It is an added security measure to safeguard your online purchases for your peace of mind. Feel secure knowing we make fraud prevention our business. As an American Express Gold Business Cardmember you enjoy automatic and complimentary enrollment into the Membership Rewards Gold Business Program. Earn 1.5 points for every HK$1 spent on local transactions and 2.5 points for every HK$1 equivalent spent in foreign currency. Your reward options include an array of cash vouchers, flights and hotel stays as well as other exciting gifts. The American Express Selects Program7 provides access to year-round attractive savings and offers. Cardmembers can save up to 20% on dining in Hong Kong, Sydney, New York, London and other destination cities. Plus, enjoy a wide range of discounts and special offers for travel, entertainment and shopping when travelling abroad. As an American Express Gold Business Cardmember, you enjoy the privilege to access the World Trade Centre Club Hong Kong. The Club commands stunning harbor views, making it a lavish host for both business events and family gatherings. The Club is also renowned for its wide selection of excellent Chinese delicacies and European cuisines, outstanding conference facilities and impeccable service. Should you wish to host a business function and seminar, The Club’s outstanding conference facilities and impeccable service are sure to rise to the event. At over 80 locations in more than 30 international airports worldwide, Gold Business Cardmember,can enjoy a complimentary visit to Plaza Premium Lounge where they offer a wide range of facilities, from comfortable seating, a delicious buffet spread with non-alcoholic drinks, hot shower suites, evening tapas, to local / international newspapers and magazines. Enjoy year-round 10% savings on movie tickets, including 3D movies, at Broadway, PALACE and AMC Cinemas. When you charge your travel tickets to your Card, a suite of travel insurance benefits is automatically activated to provide coverage for your business trip. Our Roadside Assistance delivers help 24 hours a day. In the event of your car breakdown, we arrive within an hour and in most cases, we get you back on the road. In case where your car needs to be towed, we will arrange for the towing and cover the first HK$750 of towing to your preferred garage. To get help from Roadside Assistance, please call 2277 1188. Maximum 2 claims per year. For legal and medical emergencies while travelling, Cardmembers can call the free Global Assist6 service, which will connect them with an English or Chinese-speaking lawyer or doctor. The service is available 24 hours a day virtually anywhere in the world, whenever Cardmembers travel more than 200km from home, for up to 90 days. With Express Cash, you can withdraw cash at AEON ATMs in designated Circle K Stores, MTR stations, shopping malls and AEON branches in Hong Kong. Furthermore, there are over 500,000 locations worldwide where you can have convenient access to cash anytime. 1. Subject to American Express’s risk management policies. 2. 51 credit-free days: Actual credit-free period will vary based on the date of charge and the billing cycle cut-off date. 3. Supplementary Cards: American Express approval criteria apply. Subject to Terms and Conditions. Fees and charges apply. Supplementary Cardmembers must be over 18 years of age. The Business, the Basic Cardmember and each Supplementary Cardmember are jointly and severally liable for all Supplementary Card spending. Membership RewardsTM enrolment required. Subject to Terms and Conditions of the Membership Rewards program. 4. Business Insurance: The plan is underwritten by Chubb Insurance Hong Kong Limited, American Express International, Inc. does not act as an agent or fiduciary for you, and American Express International, Inc. may act on behalf of the insurance provider, as permitted by law. Exclusions and limitations apply. See here for details. 5. SafeKey®: Subject to the Terms & Conditions here. 6. Membership Rewards: As an American Express Gold Business Cardmember you will be automatically enrolled into the Membership Rewards Gold Business Program. Subject to the Terms & Conditions of the American Express Member Rewards Program here. 7. American Express Selects:Subject to Terms & Conditions here. 8. Airport VIP Lounge: Twice per year. Terms and Conditions apply. 9. Movie Privilege: Terms and conditions apply. 11. Global Assist Hotline: You must arrange all medical and visitor transportation. As the Global Assist Hotline is an assistance service, we cannot reimburse you for expenses you incur on your own. Please refer to the Global Assist Summary of Coverage for additional details and restrictions. 12. Express Cash: Click here to learn more. 13. Annual Fee: HK$980 per year, includes 1 Basic Cardmember and 3 Supplementary Cardmembers.